The Illinois Fighting Illini football program represents the University of Illinois in college football at the NCAA Division I Football Bowl Subdivision (formerly Division I-A) level. Illinois has five national championships and 15 Big Ten championships. The 1897 Fighting Illini football team. The University of Illinois fielded its first football team in 1890, under the direction of Scott Williams, the team's starting quarterback who also served as the team's head coach. The team finished with a record of 1–2. Robert Lackey took over the reins for the program's second season in 1891, and the team finished undefeated with a mark of 6–0. In July 1892, several days after graduating from Dartmouth, Edward K. Hall was hired by the University of Illinois at Urbana–Champaign to serve as head football coach and director of physical training at a salary of $1,000. He announced at the time that he would spend the summer working as a waiter at a hotel in Old Orchard Beach, Maine, before reporting to Illinois. He was the third head football coach at Illinois, held that position for the 1892 and 1893 seasons, and led the team to a record of 12–6–4 in his two years as head coach. His 1892 team compiled a 9–4–1 record, played the first games in the football rivalries with Northwestern and Chicago, and played six road games in nine days (four wins and two losses) in late October 1892. George Huff was the fifth head coach in Illini football history, succeeding Louis Vail. Huff led the Illini into the Big Ten Conference, which formed in 1896. After back-to-back 4–2–1 seasons in 1895 and 1896, the Illini posted a 6–2 record in 1897. That proved to be the high point of Huff's tenure, as Illinois slipped to 4–5 in 1898 and 3–5–1 in 1899, ending Huff's tenure at Illinois. Arthur Hall served as Illinois' head football coach from 1907–1912, compiling a 36–12–4 record. Hall led the Illini to an undefeated 7–0 mark in 1910. For 29 seasons, Robert Zuppke served as Illinois' head football coach. During his tenure, Illinois' fan attendance at home games skyrocketed from an average of 4,500 to 60,000. Under Zuppke's leadership, the Fighting Illini posted undefeated seasons in 1914, 1915, 1923 and 1927. In 1914, the Fighting Illini compiled a 7–0 record (6–0 against Western Conference opponents), claimed a national championship, and outscored their opponents by a combined total of 224 to 22. The team was retroactively selected as the national champion for 1914 by the Billingsley Report and as a co-national champion with Army by Parke H. Davis. End Perry Graves and guard Ralph Chapman were consensus All-Americans. Chapman was the team captain. In 1915, the Illini compiled a 5–0–2 record and finished as co-champions of the Western Conference. Center John W. Watson was the team captain. In 1923, the Fighting Illini compiled an 8–0 record (5–0 against Big Ten Conference opponents) and outscored their opponents by a combined total of 136 to 20. The team was selected retroactively as the national champion by the Boand System, College Football Researchers Association, Helms Athletic Foundation, and Parke H. Davis, and as a co-national champion by the Berryman QPRS system, National Championship Foundation, and Jeff Sagarin (using the ELO-Chess methodology). Guard Jim McMillen and halfback Red Grange were consensus All-Americans. McMillen was also the team captain. In 1927, the Fighting Illini compiled a 7–0–1 record (5–0 against Western Conference opponents) and outscored their opponents by a combined total of 152 to 24. The team was selected as the 1927 national champion by the Billingsley Report, Dickinson System, Helms Athletic Foundation, National Championship Foundation, and Parke H. Davis. Though the team had no consensus All-Americans and was known for its lack of prominent names, center Robert Reitsch and guard Russ Crane made a handful of first-team selections. Reitsch was also the team captain. Illinois struggled from 1930–1941, posting seven losing seasons and no conference championships. The Illini did finish 7–1 in 1934, however, this proved to be the last season of six or more wins during the Zuppke era. Zuppke retired from Illinois following a 2–6 campaign in 1941, leaving the Illini after compiling a 131–81–12 record. Illinois promoted assistant coach Ray Eliot to the position of head coach after Zuppke's retirement. Eliot would lead the Illini football program for 18 seasons, compiling an 83–73–11 record. In 1946, the Illini won the Big Ten Conference title and completed an 8–2 season with a 45–14 win over UCLA in the Rose Bowl. The team's captain was center Mac Wenskunas. Guard Alex Agase was voted the team's most valuable player and received the Chicago Tribune Silver Football as the Big Ten's most valuable player. In 1951, the Illini compiled a 9–0–1 record, finished in first place in the Big Ten Conference, was ranked #4 in the final AP Poll, and defeated Stanford 40–7 in the 1952 Rose Bowl. The lone setback was a scoreless tie with Ohio State. The team currently is the school's last national champion in football with a 40 to 7 rout of Stanford in what was the first nationally televised college football game. Additionally, there is one NCAA record that remains unbroken today, and may stand the test of time. Al Brosky had a career record 30 interceptions during the season, including a DiMaggio like record of 16 consecutive games with an interception. He was inducted into the College Football Hall of Fame in 1998. Halfback Johnny Karras was a consensus first-team pick on the 1951 College Football All-America Team. Linebacker Chuck Boerio was selected as the team's most valuable player. In 1953, the Illini compiled a 7–1–1 record, finished in a tie for first place in the Big Ten Conference, and were ranked #7 in the final AP Poll. The sole defeat was a 34–7 loss to Wisconsin. Tackle Don Ernst was selected as the team's most valuable player. Sophomore halfback J. C. Caroline led the team with 1,256 rushing yards on 194 attempts (6.5 yards per carry) and was selected as a consensus first-team player on the 1953 College Football All-America Team. Guard John Bauer was selected by the Newspaper Enterprise Association as a third-team All-American. Following a 5–3–1 record in 1959, Eliot opted to retire as Illinois' head football coach. Illinois hired California head coach Pete Elliott as Eliot's replacement in 1960. With the Illini, his record was 31–34–1, earning a Big Ten title and Rose Bowl victory over Washington during the 1963 season. A few months after the end of the 1966 season in which the Illini finished 4–6, Elliott was forced to resign as head coach in the wake of a slush fund scandal in the athletic program. South Carolina assistant coach Jim Valek was hired as Elliott's replacement in 1967. Under Valek, the Illini compiled an 8–32 record, the worst of any Illini football head coach in decades. In 1967, the Illini compiled a 4–6 record and finished in a tie for fifth place in the Big Ten Conference. The team's offensive leaders were quarterback Dean Volkman with 1,005 passing yards, running back Rich Johnson with 768 rushing yards, and wide receiver John Wright with 698 receiving yards. End John K. Wright was selected as the team's most valuable player. In 1968, the Illini compiled a 1–9 record and finished in a tie for eighth place in the Big Ten Conference. The team's offensive leaders were quarterback Bob Naponic with 813 passing yards, running back Rich Johnson with 973 rushing yards, and wide receiver Doug Dieken with 223 receiving yards. Fullback Rich Johnson was selected as the team's most valuable player. In 1969, the Illini compiled a 0–10 record and finished in last place in the Big Ten Conference. The team's offensive leaders were quarterback Steve Livas with 705 passing yards, running back Dave Jackson with 465 rushing yards, and wide receiver Doug Dieken with 486 receiving yards. Dieken was selected as the team's most valuable player. Guard Doug Redmann was selected by the Newspaper Enterprise Association as a second-team player on the 1969 College Football All-America Team. In 1970, the Illini compiled a 3–7 record and finished in a tie for last place in the Big Ten Conference. The team's offensive leaders were quarterback Mike Wells with 906 passing yards, running back Darrell Robinson with 749 rushing yards, and wide receiver Doug Dieken with 537 receiving yards. Dieken was selected for the second consecutive year as the team's most valuable player. Illinois fired Valek after the 1970 season, citing the decline in the team's on-field performance. Coach Bob Blackman came to Illinois from Dartmouth, where he'd had a successful head coaching tenure spanning more than a decade, to turn the Illini football program around in 1971. Under Blackman, the Illini compiled a record of 29–36–1. In 1971, the Illini compiled a 5–6 record and finished in a three-way tie for third place in the Big Ten Conference. The team's offensive leaders were quarterback Mike Wells with 1,007 passing yards, running back John Wilson with 543 rushing yards, and wide receiver Garvin Roberson with 372 receiving yards. Punter/halfback Terry Masar was selected as the team's most valuable player. In 1972, the Illini compiled a 3–8 record and finished in a tie for sixth place in the Big Ten Conference. The team's offensive leaders were quarterback Mike Wells with 837 passing yards, running back George Uremovich with 611 rushing yards, and wide receiver Garvin Roberson with 569 receiving yards. Center Larry McCarren and defensive end Larry Allen were selected as the team's most valuable players. In 1973, the Illini compiled a 5–6 record and finished in a four-way tie for fourth place in the Big Ten Conference. The team's offensive leaders were quarterback Jeff Hollenbach with 916 passing yards, running back George Uremovich with 519 rushing yards, and wide receiver Garvin Roberson with 416 receiving yards. Halfback Eddie Jenkins and defensive end Octavus Morgan were selected as the team's most valuable players. In 1974, the Illini compiled a 6–4–1 record and finished in fifth place in the Big Ten Conference. The team's offensive leaders were quarterback Jeff Hollenbach with 1,037 passing yards, running back Chubby Phillips with 772 rushing yards, and wide receiver Joe Smalzer with 525 receiving yards. Hollenbach and linebacker Tom Hicks were selected as the team's most valuable players. In 1975, the Illini compiled a 5–6 record and finished in a three-way tie for third place in the Big Ten Conference. The team's offensive leaders were quarterback Kurt Steger with 1,136 passing yards, running back Lonnie Perrin with 907 rushing yards, and wide receiver Frank Johnson with 349 receiving yards. Offensive tackle Stu Levenick and defensive back Bruce Beaman were selected as the team's most valuable players. In 1976, the Illini compiled a 5–6 record and finished in a four-way tie for third place in the Big Ten Conference. The team's offensive leaders were quarterback Kurt Steger with 1,243 passing yards, running back James Coleman with 687 rushing yards, and wide receiver Eric Rouse with 326 receiving yards. Offensive tackle Jerry Finis and linebacker Scott Studwell were selected as the team's most valuable players. Blackman was fired following the 1976 season, the administration again unhappy with the team's consistent mediocrity. Michigan defensive coordinator Gary Moeller was hired to replace Blackman in 1977. Under Moeller, the Illini continued to struggle, compiling a 6–24–3 record. In 1977, the Illini compiled a 3–8 record and finished in ninth place in the Big Ten Conference. The team's offensive leaders were quarterback Mike McCray with 418 passing yards, running back James Coleman with 715 rushing yards, and wide receiver Tom Schooley with 231 receiving yards. Coleman and linebacker John Sullivan were selected as the team's most valuable players. In 1978, the Illini compiled a 1–8–2 record and again finished in ninth place in the Big Ten Conference. The team's offensive leaders were quarterback Rich Weiss with 665 passing yards, running back Wayne Strader with 389 rushing yards, and wide receiver Jeff Barnes with 270 receiving yards. Linebacker John Sullivan and center Randy Taylor were selected as the team's most valuable players. In 1979, the Illini compiled a 2–8–1 record and, for the third season in a row, finished in ninth place in the Big Ten Conference. The team's offensive leaders were quarterback Lawrence McCullough with 1,254 passing yards, running back Mike Holmes with 792 rushing yards, and wide receiver John Lopez with 296 receiving yards. McCullough was selected as the team's most valuable player. Illinois fired Moeller after the 1979 season. San Francisco 49ers offensive line coach Mike White succeeded Moeller and brought moderate success to Illinois' football program, compiling a 47–41–3 record in his eight years. The Illini posted five consecutive winning seasons from 1981–1985, posting records of 7–4, 7–5, 10–2, 7–4 and 6–5–1. His best team was the 1983 unit, which won Illinois' first conference title in 20 years. The 1983 season ended with a loss to UCLA in the Rose Bowl. White departed as coach after 1987 due to recruiting violations. John Mackovic, head coach of the NFL's Kansas City Chiefs, was hired as the Fighting Illini's 20th head football coach in 1988. In 1988, the Illini compiled a 6–5–1 record, finished in third place in the Big Ten Conference, and lost to Florida in the 1988 All-American Bowl. The team's offensive leaders were quarterback Jeff George with 2,257 passing yards, running back Keith Jones with 1,108 rushing yards, and Steve Williams with 523 receiving yards. In 1989, the Illini finished 10–2, capping their season off with a win in the Florida Citrus Bowl. In 1990, the Illini compiled an 8–4 record, finished in a four-way tie for first place in the Big Ten Conference, were ranked #25 in the final AP Poll, and lost to Clemson in the 1991 Hall of Fame Bowl. The team's offensive leader were quarterback Jason Verduzco with 2,567 passing yards, fullback Howard Griffith with 1,115 rushing yards, and Shawn Wax with 863 receiving yards. In 1991, the Illini enjoyed another non-losing season, finishing 6–6 after losing in the John Hancock Bowl. Because he was able to turn around the Illini football program, Mackovic received interest from multiple schools regarding their head football coaching position. Mackovic elected to leave Illinois after the 1991 season to accept the head coaching position at Texas. Lou Tepper was promoted from defensive coordinator to head coach of the Illini in 1992. Tepper was the first Illinois coach since Robert Zuppke to win or tie both of his first two meetings against Michigan. The 1992 game, a 22–22 tie, ended Michigan's nineteen game conference winning streak. Tepper was involved in a series of controversial moves associated with the recruitment of blue-chip quarterback Chris Redman in 1994 and 1995. Redman stated that he had committed to Illinois based on the recruiting efforts of Illini offensive coordinator and former NFL Pro Bowl quarterback Greg Landry. Tepper ignited a controversy when he unexpectedly fired Landry the day after Redman signed his letter of commitment. Tepper denied any attempt to deceive Redman about Landry's future at Illinois and eventually released Redman from his commitment. It would later emerge that Landry had allegedly been soliciting a NFL job behind Tepper's back. The departures of Landry and Redman and the manner in which they left had damaged Tepper's reputation among fans and media. The NCAA decided to void the LOC based on the unusual circumstances, allowing Redman five full years of eligibility and no transfer restrictions. Tepper hired former Ball State head coach and veteran Big Ten assistant Paul Schudel as Landry's replacement. The hiring of Schudel marked the fourth time in six years that the Illini had made a change at offensive coordinator. Despite Tepper's abilities as a defensive coach, he only put together only two winning seasons in his six years in Champaign. His teams were unable to match the moderate success the Illini had enjoyed under Mackovic and Mike White, and the Illini got progressively worse over his tenure. They placed fourth in the Big Ten Conference in Tepper's first full season, 1992, and finished in fourth, fifth, seventh, and ninth in his remaining years. Tepper was fired after the 1996 season, when the Illini went 2–9 with a 1–7 conference record. In spite of the negative press however, over Tepper's record at Illinois, no subsequent Illini football head coach has matched Tepper's winning percentage (.456 overall, .461 conference). Chicago Bears offensive coordinator Ron Turner was hired in 1997 to replace Tepper. 1997 saw Illinois go 0–11, the worst season in program history. In 1998, the team again posted a losing record, although it was a 3–8 campaign that bettered the previous year's mark by three games. The '98 campaign was followed by a winning 8–4 season in 1999, which was capped off by a dominant win over Virginia in the MicronPC Bowl. After a disappointing 2000 season in which the Illini finished 5–6, the Illini finished 10–2 (7-1 conference) behind the arm of quarterback Kurt Kittner in 2001, winning the Big Ten championship. The Illini accepted a berth in the Sugar Bowl, which they lost to LSU, coached by Nick Saban. From 2002–2004, the Illini's struggles once again returned, as Turner's teams posted a 5–7 record in 2002, which was followed by a 1–11 campaign in 2003 and a 3–8 mark in 2004. 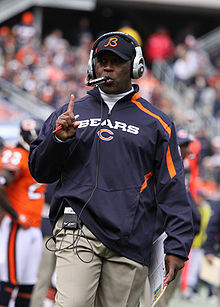 Illinois fired Turner after the 2004 season. In 2005, former Florida head coach Ron Zook was hired to replace Turner as head coach. In Zook's inaugural season of 2005, Illinois finished with an overall record of 2–9, and a record of 0–8 in Big Ten games. Despite his team's past struggles, Zook improved the ability of Illinois to recruit top football talent. According to one source, the 2006 recruiting class was one of the 30 best in college football. Despite this, they finished the 2006 season 1–7 in the conference and 2–10 overall. While the record did not improve, the play on the field did as the Illini nearly upset top ranked Ohio State in Champaign before losing 17–10. Additionally, the Illini played well against Iowa, Wisconsin, and Penn State (they lost 63–10 the year before; Penn State led 56–3 at halftime) but ended up losing close games (they were down 15–12 at Penn State until Penn State broke open the close game to make it 26–12). The 2006 recruiting class included Isiah "Juice" Williams of Chicago Vocational High School, considered to be one of the top quarterback recruits in the country. In late 2006, Zook signed Arrelious Benn, one of the top wide receiver prospects in the 2007 class. More recently, Zook also won over Simeon High School standout Martez Wilson along with Florida prospect D'Angelo McCray. This class was one of Illinois' best in recent memory, being rated within the top 25 nationally by some experts. Zook's recruiting success finally began to pay dividends during the 2007 season. After losing a close game on neutral turf to a Missouri squad which went on to be ranked as high as #1, the Illini ran off five straight wins, including back-to-back home wins over Penn State and Wisconsin. Illinois' 5–1 start gave them a #18 ranking in the AP Poll. This was Illinois' first ranking in the AP Poll since the end of the 2001 season. However, the ranking proved to be short-lived after consecutive losses to Iowa and Michigan. A homecoming win over Ball State gave the Illini bowl eligibility and a blowout win at Minnesota all but assured Zook's first bowl appearance as coach of the Illini. On November 10, the then-unranked Illini defeated #1-ranked Ohio State in Columbus. The Illini finished the 2007 regular season by defeating Northwestern to finish 9–3 overall, 6–2 in the Big Ten. Because Big Ten champion Ohio State football played in the BCS National Championship game, Illinois received a bid to play in the Rose Bowl as the second ranked team in the Big Ten. Their improvement of 7 wins over the 2006 season was the largest such increase of any Division I team. 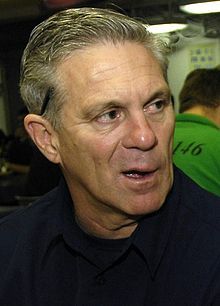 His success earned Zook a contract extension in October 2007, which paid him approximately $1.5 million through the 2013 season. Zook's success on recruiting trail continued as well, with Illinois having the #17 recruiting class in 2008 according to rivals.com. On November 20, 2007, Ron Zook was selected as the Big Ten Coach of the Year. Zook also was awarded the Liberty Mutual Coach of the Year Award following the 2007 season. After making the 2008 Rose Bowl, Illinois was squashed, 49–17, by the USC Trojans, putting a bit of a damper on an otherwise great season. Expectations were high for 2008, but Illinois didn't live up to those expectations early on, as they lost to Missouri, 52–42, in their season opener and to Penn State, 38–24. After a 27–20 loss to Minnesota, Illinois crushed Indiana, 55–13. However, the Fighting Illini fell to Wisconsin the very next week; Wisconsin had been winless in Big Ten play prior to that game. While Zook's team was able to upset Iowa, 27–24, a week after their loss to Wisconsin, Illini finished 2008 with a three-game losing streak at the hands of Western Michigan (23–17), Ohio State (30–20), and Northwestern (27–10). Despite a very disappointing 2008 season, Zook's 2009 Fighting Illini team received AP Poll votes. As they had the previous two years, Illinois started off the season with a loss to Missouri, but this time, the result was far more lopsided than the previous affairs; Missouri won 39–7. Illinois stomped Illinois State, 45–17, the next week, but then suffered an embarrassing 30–0 shutout at the hands of Ohio State. Illinois lost their next four games by 10 points or more (including a 27–14 loss to Indiana, which was the Hoosiers' only Big Ten win of the season), sinking to 1–6 overall. Zook's team then put together a stunning blowout of the Michigan Wolverines in Memorial Stadium, and followed it up with a 35–32 upset of Minnesota the very next week. After back-to-back wins, the Illini fell to the rival Northwestern Wildcats, 21–16. To close out the season, the Fighting Illini put up a fight against Cincinnati, who finished the year undefeated, but were unable to pull off the upset; and the Fighting Illini fell at home to Fresno State in a wild 53–52 game the very next week. At the end of the 2009 season, offensive coordinator Mike Schultz was released from his contract, and co-defensive coordinators Dan Disch and Curt Mallory were demoted to position coaches. Illinois hired Paul Petrino as offensive coordinator, and Vic Koenning as defensive coordinator. After back-to-back disappointing years, the Illini had almost no pre-season expectations entering 2010. Juice Williams and Arrelious Benn were no longer on the team. However, running back Mikel Leshoure was, and he proved to be an invaluable asset on offense, where Illinois started freshman Nathan Scheelhaase at quarterback. They started off 2010 by losing to Missouri for the fourth consecutive year, 23–13. They held a 13–3 lead that almost lasted the length of the game. After the early loss, Illinois defeated Southern Illinois, 35–3, and Northern Illinois, 28–22. While the Fighting Illini lost to Ohio State in their Big Ten opener, they gave the Buckeyes a scare, knocking out quarterback Terrelle Pryor and holding the Buckeye passing offense almost entirely in check. Illinois then traveled to State College to take on the Nittany Lions, and Illinois had never won in Beaver Stadium prior to 2010. Illinois handed Penn State a stunning 33–13 loss on homecoming. They went on to win the Texas Bowl in a blowout against Baylor. As the 2011 season begun, the Illini were picked by most experts to finish near the bottom of the newly formed Leaders Division. However, Illinois got off to one of their best starts in history by winning their first six games. After taking care of Arkansas State, 33–15, and blasting South Dakota State, 56–3, the Fighting Illini won a trio of home games by a margin of a field goal over 22nd-ranked Arizona State (17–14), Western Michigan (23–20), and Northwestern (38–35) in a game in which Illinois rallied from a 28–10 deficit in the second half. After defeating Indiana, 41–20, in Illinois' first road game of the season, the Illini were 6–0 for the first time since 1951 and they climbed to 15th in the Coaches' Poll and 16th in the AP Poll. However, the Illini lost, 17–7, to Ohio State and the season seemed headed towards a downward spiral as Illinois lost a pair of close road games at Purdue (21–14) and Penn State (10–7). Illinois returned home and lost to Michigan, 31–14. On the Tuesday before the Wisconsin game, Zook opened his weekly press conference by warning the reporters not to ask questions about his job status. When reporter Shannon Ryan of the Chicago Tribune asked Zook if he had talked to his players about the rumors pertaining to his future, he walked out of the press conference. The Illini went on to lose to Wisconsin, 28–17, and finished the regular season with a 27–7 loss to Minnesota. With the loss to the Golden Gophers, Illinois became the first team in NCAA Division I FBS history to start a season 6–0, and end it at 6–6. Zook was fired on November 27, 2011. His final record at Illinois was 34–51. The Illini did receive a bowl invitation and they defeated UCLA in the Kraft Fight Hunger Bowl. It was first time in school history that the football team won back-to-back bowl games. Toledo head coach Tim Beckman was hired as Zook's replacement in December 2011. At Illinois, Beckman went 12–25 in three seasons, and only won four games in Big Ten play. In his third season, the Illini managed to qualify for a bowl with a 6–6 record, but lost 35–18 to Louisiana Tech in the Heart of Dallas Bowl. On August 28, 2015—just a week before what was to be his fourth season—Beckman was fired after the preliminary results of an internal investigation substantiated accusations of gross player mistreatment. Most seriously, the investigation found that he'd forced players to play through serious injuries and had the medical staff clear these players too soon. In a statement, Beckman called his ouster a "rush to judgment" that violated the terms of his contract, and stated that he intended to "vigorously defend both my reputation and my legal rights." On April 11, 2016, Beckman settled with the university for a one time payment of $250,000 with the decision of firing "for cause" due to the mistreatment of players standing. On August 28, 2015, Illini offensive coordinator and former Western Michigan head coach Bill Cubit was named head coach at Illinois for the 2015 season after the university fired Tim Beckman for alleged mistreatment of players. On November 28, 2015, Illinois formally named Cubit as its 24th head coach, giving him a two-year, $2.4 million contract. However, on March 5, 2016, the school announced that Cubit had been relieved of his duties. Illinois director of athletics Josh Whitman stated, "I appreciate the leadership that Bill Cubit provided our football program during what has been, unquestionably, a very tumultuous time...Through his efforts, he has kept the program moving forward. Bill is a good man and a good football coach...At this juncture, however, I think it is most important that we position our program for long-term success by creating a more stable environment for the coaches, players, and prospective student-athletes." On March 7, 2016, former head coach of the NFL's Chicago Bears and Tampa Bay Buccaneers Lovie Smith was named Fighting Illini head coach, agreeing to a contract paying $21 million over six years. The hiring of Smith caused a roar of excitement in the university community. After two predecessors who had no previous experience on the national stage, and after five years without a winning record, the acquisition of a leader who had taken a professional football team to the Super Bowl invigorated the university's football fans. Ticket sales, which following the team's 2008 Rose Bowl Game appearance had averaged more than 61,000 per game (current stadium capacity is 60,670), had plummeted to the point where only about 7,000 people actually showed up at the stadium for Tim Beckman's final home game as head coach in 2014, and pictures of the empty stands were being posted on social media by game attendees. In the 2015 season, in spite of personal appeals and campus walkabouts by then-head coach Bill Cubit, the stands averaged only about two-thirds full for the season. In the 48 hours following the announcement of the Smith hire, the university sold over 2000 new season tickets and more than 400 new student season tickets. When Smith's contract was approved by the university's Board of Trustees at their September 2016 meeting, $2 million of the salary was moved from the last two years of the contract and made payable in earlier years. Additionally, the contract provided for up to $8 million in performance bonuses. In Smith's first season, the Illini posted a 3–9 record. Illinois has won five (1914, 1919, 1923, 1927, 1951) national championships from NCAA-designated major selectors. :111–113 Illinois claims all five championships. Illinois has won fifteen conference championships, all in the Big Ten Conference. Illinois has participated in 18 bowl games, with the Fighting Illini having a record of 8–10. Illinois has four series against teams that generally are considered their rival in some form, with three of their rivals being in the Big Ten Conference, Northwestern, Purdue, and Ohio State, with the first two being in the same division as the Fighting Illini. Illinois briefly had a protected rivalry with Indiana in the pre-expansion Big Ten, but the rivalry is much more prevalent in basketball. Of the four rivalries, the one between them and Northwestern has had the most matchups, with 111. The original trophy was the Sweet Sioux Tomahawk, until it was replaced with the Land of Lincoln Trophy. The Fighting Illini have had periods of dominance in the series, notably winning eleven of twelve matchups from 1908 to 1928. Illinois leads the series 55–51–5 as of 2017, although Northwestern has won the last three games between the two. The rivalry between Illinois and Missouri is modeled after the two schools' longstanding basketball rivalry, and it garners the most interest around St. Louis, with both schools having alumni and fans in the area. It has not been played annually, with 24 matchups occurring from 1896 to 2010, with Missouri leading the series 17–7. Between 2000 and 2010, the schools met in St. Louis six times, with Missouri winning each time. In 2026, the series will be renewed for a four-year period, to be played on campus sites. The rivalry with Ohio State has occurred since 1902, with the Illibuck trophy (a carved wooden trophy) being a reflection of its longevity, being the 2nd oldest trophy awarded for a Big Ten rivalry game. Ohio State leads the series 68–30–4 (not including the 2010 vacated win), with Ohio State having won the last eight games played. They were members of the same Division (Leaders) upon expansion in 2011, but they were separated in 2014, meaning that they do not meet up each year, although they are guaranteed to meet at least once in a four-year period. Illinois has had varied success in this rivalry, notably winning five straight from 1988 to 1992, although they have not beaten Ohio State since 2007, when Illinois beat #1 Ohio State in Columbus. Illinois has retired two jersey numbers. The following 16 Illinois players and coaches have been inducted to the College Football Hall of Fame. November 2, 1990 - The University of Illinois announced its 25-man All-Century Football Team as voted on by fans. The following are former players who are currently in the NFL as of week 16 of the 2017 NFL season. Staff as of April 17, 2019. Illini football games are shown via the Illini Sports Network, which brings the Illini to stations across Illinois. Locally, the team's games are shown on WDWS-AM 1400 and WHMS-FM 97.5. WDWS has been the Illini's exclusive radio station in Champaign since 1935. WHMS has aired Illini games since the 1950s. The team's student newspaper is the Daily Illini, while outside coverage is handled by The News-Gazette. Illinois plays the other six Big Ten West opponents once per season. Announced schedules as of July 13, 2018. ^ "All-Time Coaching Records by Year". www.cfbdatawarehouse.com. ^ "Personal". Vermont Phoenix. July 8, 1892. p. 5. ^ "E. K. Hall Records By Year". College Football Data Warehouse. David DeLassus. ^ "1892 Illinois". College Football Data Warehouse. David DeLassus. Retrieved November 13, 2015. ^ "Find A Grave - Millions of Cemetery Records and Online Memorials". www.findagrave.com. ^ "Arthur Hall Coaching Record - College Football at Sports-Reference.com". College Football at Sports-Reference.com. ^ "1914 Illinois Fighting Illini Schedule and Results". Archived from the original on 2015-09-17. ^ a b National Collegiate Athletic Association (NCAA) (2015). "National Poll Rankings" (PDF). NCAA Division I Football Records. NCAA. p. 108. Retrieved January 8, 2016. ^ a b c d "Fighting Illini Football Record Book" (PDF). University of Illinois. 2015. p. 156. Retrieved December 28, 2016. ^ "1915 Illinois Schedule and Results". SR/College Football. Sports Reference LLC. Archived from the original on December 22, 2015. Retrieved December 16, 2015. ^ "1923 Illinois Fighting Illini Schedule and Results". Archived from the original on 2015-10-02. ^ "1927 Illinois Fighting Illini Schedule and Results". Archived from the original on 2015-09-15. ^ National Collegiate Athletic Association (NCAA) (2015). "National Poll Rankings" (PDF). NCAA Division I Football Records. NCAA. p. 109. Retrieved January 13, 2016. ^ "Robert Zuppke Coaching Record - College Football at Sports-Reference.com". College Football at Sports-Reference.com. ^ "Muskegon Area Sports Hall of Fame - Class of 1990". www.mashf.com. ^ "RAY ELIOT, 74, DEAD; COACHED AT ILLINOIS; Career Spanned 18 Years, During Which Football Teams Won Twice in Rose Bowl An Eloquent Speaker". 26 February 1980 – via query.nytimes.com. ^ "Ray Eliot Coaching Record - College Football at Sports-Reference.com". College Football at Sports-Reference.com. ^ a b c "Fighting Illini Football Record Book" (PDF). University of Illinois. 2015. p. 155. Retrieved December 28, 2016. ^ "1951 Illinois Schedule and Results". SR/College Football. Sports Reference LLC. Archived from the original on December 22, 2015. Retrieved December 16, 2015. ^ a b "2014 NCAA Football Records: Consensus All-America Selections" (PDF). National Collegiate Athletic Association (NCAA). 2014. p. 6. Retrieved February 10, 2015. ^ "1953 Illinois Schedule and Results". SR/College Football. Sports Reference LLC. Archived from the original on December 22, 2015. Retrieved December 16, 2015. ^ Harry Grayson (1953-11-29). "Harry Grayson Picks All-America for 1953". Independent Record. Helena, Montana. ^ "The Indianapolis Star from Indianapolis, Indiana on December 23, 1959 · Page 25". ^ "Pete Elliott: 'Great motivator'". ^ "Pete Elliott Coaching Record - College Football at Sports-Reference.com". College Football at Sports-Reference.com. ^ "Every Rose Bowl game ever played: A brief look at 99 glorious games". 1 January 2014. ^ "In Memory of Jim Valek :: Plenty of respect and admiration shown for former Illini grid coach". www.cstv.com. ^ "James Valek Coaching Record - College Football at Sports-Reference.com". College Football at Sports-Reference.com. ^ "1967 Illinois Fighting Illini Schedule and Results". SR/College Football. Sports Reference LLC. Archived from the original on December 22, 2015. Retrieved December 16, 2015. ^ "1967 Illinois Fighting Illini Stats". SR/College Football. Sports Reference LLC. Archived from the original on November 26, 2015. Retrieved December 16, 2015. ^ a b c d e f g h i j k l m "Fighting Illini Football Record Book" (PDF). University of Illinois. 2015. p. 155. Retrieved December 29, 2016. ^ "1968 Illinois Fighting Illini Schedule and Results". SR/College Football. Sports Reference LLC. Archived from the original on December 22, 2015. Retrieved December 16, 2015. ^ "1968 Illinois Fighting Illini Stats". SR/College Football. Sports Reference LLC. Archived from the original on November 7, 2015. Retrieved December 16, 2015. ^ "1969 Illinois Fighting Illini Schedule and Results". SR/College Football. Sports Reference LLC. Archived from the original on December 22, 2015. Retrieved December 16, 2015. ^ "1969 Illinois Fighting Illini Stats". SR/College Football. Sports Reference LLC. Archived from the original on November 7, 2015. Retrieved December 16, 2015. ^ "Steve Owens, Mike Phipps Pace NEA All-Americans". Clovis News-Journal. November 21, 1969. p. 12. ^ "1970 Illinois Fighting Illini Schedule and Results". SR/College Football. Sports Reference LLC. Archived from the original on December 22, 2015. Retrieved December 16, 2015. ^ "1970 Illinois Fighting Illini Stats". SR/College Football. Sports Reference LLC. Archived from the original on November 7, 2015. Retrieved December 16, 2015. ^ Wallace, William N. (20 March 2000). "Bob Blackman, 81, Coach of Dartmouth Football, Is Dead" – via www.nytimes.com. ^ "Bob Blackman Coaching Record - College Football at Sports-Reference.com". College Football at Sports-Reference.com. ^ "1971 Illinois Fighting Illini Schedule and Results". SR/College Football. Sports Reference LLC. Archived from the original on December 22, 2015. Retrieved December 16, 2015. ^ "1971 Illinois Fighting Illini Stats". SR/College Football. Sports Reference LLC. Archived from the original on November 7, 2015. Retrieved December 16, 2015. ^ "1972 Illinois Fighting Illini Schedule and Results". SR/College Football. Sports Reference LLC. Archived from the original on December 22, 2015. Retrieved December 16, 2015. ^ "1972 Illinois Fighting Illini Stats". SR/College Football. Sports Reference LLC. Archived from the original on November 7, 2015. Retrieved December 16, 2015. ^ "1973 Illinois Fighting Illini Schedule and Results". SR/College Football. Sports Reference LLC. Archived from the original on December 22, 2015. Retrieved December 16, 2015. ^ "1973 Illinois Fighting Illini Stats". SR/College Football. Sports Reference LLC. Archived from the original on November 7, 2015. Retrieved December 16, 2015. ^ "1974 Illinois Fighting Illini Schedule and Results". SR/College Football. Sports Reference LLC. Archived from the original on December 22, 2015. Retrieved December 16, 2015. ^ "1974 Illinois Fighting Illini Stats". SR/College Football. Sports Reference LLC. Archived from the original on November 21, 2015. Retrieved December 16, 2015. ^ "1975 Illinois Fighting Illini Schedule and Results". SR/College Football. Sports Reference LLC. Archived from the original on December 22, 2015. Retrieved December 16, 2015. ^ "1975 Illinois Fighting Illini Stats". SR/College Football. Sports Reference LLC. Archived from the original on November 21, 2015. Retrieved December 16, 2015. ^ "1976 Illinois Fighting Illini Schedule and Results". SR/College Football. Sports Reference LLC. Archived from the original on December 22, 2015. Retrieved December 16, 2015. ^ "1976 Illinois Fighting Illini Stats". SR/College Football. Sports Reference LLC. Archived from the original on October 30, 2015. Retrieved December 16, 2015. ^ "Fired In Disgrace At Michigan In 1995, Gary Moeller Stuck To His Profession And Has Risen To Lead The Detroit Lions". ^ "Gary Moeller Coaching Record - College Football at Sports-Reference.com". College Football at Sports-Reference.com. ^ "1977 Illinois Fighting Illini Schedule and Results". SR/College Football. Sports Reference LLC. Archived from the original on December 22, 2015. Retrieved December 16, 2015. ^ "1977 Illinois Fighting Illini Stats". SR/College Football. Sports Reference LLC. Archived from the original on November 21, 2015. Retrieved December 16, 2015. ^ "1978 Illinois Fighting Illini Schedule and Results". SR/College Football. Sports Reference LLC. Archived from the original on December 22, 2015. Retrieved December 16, 2015. ^ "1978 Illinois Fighting Illini Stats". SR/College Football. Sports Reference LLC. Archived from the original on November 21, 2015. Retrieved December 16, 2015. ^ "1979 Illinois Fighting Illini Schedule and Results". SR/College Football. Sports Reference LLC. Archived from the original on December 22, 2015. Retrieved December 16, 2015. ^ "1979 Illinois Fighting Illini Stats". SR/College Football. Sports Reference LLC. Archived from the original on November 21, 2015. Retrieved December 16, 2015. ^ "Mike White Coaching Record - College Football at Sports-Reference.com". College Football at Sports-Reference.com. ^ "1983 Illinois Fighting Illini Schedule and Results - College Football at Sports-Reference.com". College Football at Sports-Reference.com. ^ A-illinis-rose-bowl-seaso "1983: A 20th anniversary retrospective on the Illinis Rose Bowl season" Check |url= value (help). ^ "White Resigns at Illinois After NCAA Investigation". Los Angeles Times. January 19, 1988. Retrieved December 17, 2018. ^ "Illinois hires Mackovic for coaching and more". ^ "1988 Illinois Fighting Illini Schedule and Results". SR/College Football. Sports Reference LLC. Archived from the original on December 22, 2015. Retrieved December 16, 2015. ^ "1988 Illinois Fighting Illini Stats". SR/College Football. Sports Reference LLC. Archived from the original on December 17, 2015. Retrieved December 16, 2015. ^ "1989 Illinois Fighting Illini Schedule and Results - College Football at Sports-Reference.com". College Football at Sports-Reference.com. ^ Press, From Associated (2 January 1990). "CITRUS BOWL : George Right on Key, Virginia Out of Sync as Illinois Wins, 31-21" – via LA Times. ^ "1990 Illinois Schedule and Results". SR/College Football. Sports Reference LLC. Archived from the original on December 22, 2015. Retrieved December 16, 2015. ^ "1990 Illinois Fighting Illini Stats". SR/College Football. Sports Reference LLC. Archived from the original on December 7, 2015. Retrieved December 16, 2015. ^ "1991 Illinois Fighting Illini Schedule and Results - College Football at Sports-Reference.com". College Football at Sports-Reference.com. ^ FLORENCE, MAL (31 December 1991). "End of the Season Offers Debut for Illinois Coach : Hancock Bowl: UCLA to face an Illini team that has lost its last two games--and Mackovic" – via LA Times. ^ "Mackovic Says There`s More To Story Of Jump To Texas". ^ "Tepper Retains 4 Illini Assistants". ^ "Tepper Moves To Keep Redman". ^ a b c "Illini Release Top Recruit From Commitment". ^ "Bill Cubit: Illini savior?". ^ "Lou Tepper Coaching Record - College Football at Sports-Reference.com". College Football at Sports-Reference.com. ^ "Illinois Fires Coach Tepper". 12 November 1996 – via www.nytimes.com. ^ Bannon, Tim. "Flashback: Illinois' worst football season ever". ^ "1997 Illinois Fighting Illini Schedule and Results - College Football at Sports-Reference.com". College Football at Sports-Reference.com. ^ "1998 Illinois Fighting Illini Schedule and Results - College Football at Sports-Reference.com". College Football at Sports-Reference.com. ^ "1999 Illinois Fighting Illini Schedule and Results - College Football at Sports-Reference.com". College Football at Sports-Reference.com. ^ "Virginia Falls To Illinois In MicronPC.com Bowl, 63-21". ^ "2000 Illinois Fighting Illini Schedule and Results - College Football at Sports-Reference.com". College Football at Sports-Reference.com. ^ "2001 Illinois Fighting Illini Schedule and Results - College Football at Sports-Reference.com". College Football at Sports-Reference.com. ^ "Nokia Sugar Bowl: Illinois vs. LSU". static.espn.go.com. ^ "2002 Illinois Fighting Illini Schedule and Results - College Football at Sports-Reference.com". College Football at Sports-Reference.com. ^ "2003 Illinois Fighting Illini Schedule and Results - College Football at Sports-Reference.com". College Football at Sports-Reference.com. ^ "2004 Illinois Fighting Illini Schedule and Results - College Football at Sports-Reference.com". College Football at Sports-Reference.com. ^ "Illinois fires Turner after eighth season". 23 November 2004. ^ "USATODAY.com - Illinois hires Zook to rebuild football program". usatoday30.usatoday.com. ^ "2005 Illinois Fighting Illini Schedule and Results - College Football at Sports-Reference.com". College Football at Sports-Reference.com. ^ "NFL, College Sports, NBA and Recruiting". scout.scout.com. ^ "High School Confidential". Archived from the original on 2007-11-06. ^ "2007 Illinois Fighting Illini Schedule and Results - College Football at Sports-Reference.com". College Football at Sports-Reference.com. ^ "Illinois' strong start earns Ron Zook extension, raise - USATODAY.com". www.usatoday.com. ^ "Chicago Sports News, Schedules & Scores - Chicago Tribune". ^ "Coach of the Year". www.coachoftheyear.com. ^ "2008 Illinois Fighting Illini Schedule and Results - College Football at Sports-Reference.com". College Football at Sports-Reference.com. ^ "Fresno State vs. Illinois - Game Recap - December 5, 2009 - ESPN". ESPN.com. ^ "Illinois hiring Paul Petrino as offensive coordinator". ^ "Illinois vs. Baylor - Game Recap - December 29, 2010 - ESPN". ESPN.com. ^ "2011 Illinois Fighting Illini Schedule and Results - College Football at Sports-Reference.com". College Football at Sports-Reference.com. ^ "Illinois vs. UCLA - Game Recap - December 31, 2011 - ESPN". ESPN.com. ^ "Illinois hires Toledo's Beckman to replace Zook". ^ "Tim Beckman Coaching Record - College Football at Sports-Reference.com". College Football at Sports-Reference.com. ^ "2014 Illinois Fighting Illini Schedule and Results - College Football at Sports-Reference.com". College Football at Sports-Reference.com. ^ "Illinois vs. Louisiana Tech - Game Recap - December 26, 2014 - ESPN". ESPN.com. ^ "Fired Beckman: Illinois made 'rush to judgment'". ^ "Illinois fires football coach Tim Beckman". Chicago Tribune. August 28, 2015. ^ "Illinois football coach Beckman fired; 'firmly denies' accusations". Fox Sports. August 28, 2015. ^ "Tim Beckman receives $250,000 settlement". ^ "Beckman Dismissed as Football Coach". University of Illinois. ^ USA Today (November 28, 2015). "Illinois gives Bill Cubit a two-year contract, removes interim tag". USA Today. Retrieved November 28, 2015. ^ Wire, SI. "Illinois fires head coach Bill Cubit". ^ "Lovie Smith Named Illinois Football Coach". Illinois DIA. March 7, 2016. Retrieved March 7, 2016. ^ Ryan, Shannon. "Illinois hires Lovie Smith as next football coach". chicagotribune.com. Retrieved 2016-03-07. ^ "The Illinois student section 10 minutes before kickoff". Twitter. November 22, 2014. Retrieved August 14, 2016. ^ "Illini attendance to receive big boost from Lovie Smith hire". scout.com. March 8, 2016. Retrieved August 14, 2016. ^ "Illinois OKs six-year, $21 million contract for Lovie Smith". Chicago Tribune. September 8, 2016. Retrieved September 16, 2016. ^ "2016 Illinois Fighting Illini Schedule and Results - College Football at Sports-Reference.com". College Football at Sports-Reference.com. ^ Christopher J. Walsh (2007). Who's #1? : 100-Plus Years of Controversial National Champions in College Football. Taylor Trade Pub. p. 73–74. ISBN 978-1-58979-337-8. ^ 2017 NCAA Football Bowl Subdivision Records (PDF). Indianapolis: National Collegiate Athletic Association. August 2017. Retrieved September 6, 2018. ^ "Illinois Athletics - 2017 Football Record Book Full No Covers" (PDF). Fightingillini.com. Retrieved 2018-04-04. ^ Asmussen, Bob (September 1, 2003). "Grabowski, Howard join Butkus, Grange on stadium scoreboard". The News-Gazette. Retrieved August 4, 2017. ^ "Harold E. "Red" Grange biography". Archived from the original on 2013-08-01. ^ "NFL Players by College – I – National Football League – ESPN". Espn.go.com. Retrieved 2014-05-29. ^ "The Illinois Fighting Illini Football Team | Scores, Stats, Tickets, and More". College-football.findthedata.org. Retrieved 2014-09-28. ^ "Illinois Athletics – Football Coaches". Retrieved April 17, 2019. ^ "Illinois Fighting Illini Football Schedules and Future Schedules". fbschedules.com. Retrieved 2017-01-16. Wikimedia Commons has media related to Illinois Fighting Illini football.